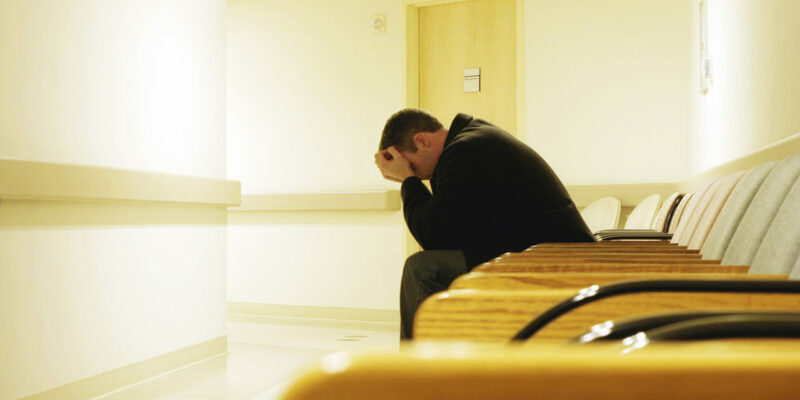 Psychiatric patients wait disproportionately longer in emergency departments before receiving treatment and experience longer stays compared to other patients, according to reports released Monday by the American College of Emergency Physicians. One of the reports, a survey from the ACEP of 1,700 emergency medicine physicians, found 48% of doctors reported that at least one psychiatric patient per day was held in their emergency department waiting for an inpatient bed. Almost 21% said patients wait up to two to five days for an inpatient psychiatric bed. Additionally, 57% of doctors reported increased wait times and boarding for children with psychiatric conditions. At the same time, only 16.9% of physicians reported they had a psychiatrist on-call to respond to psychiatric emergencies in the ER and more than 10% reported they had no one on-call to respond to emergencies. Dr. Rebecca Parker, president of the ACEP, called the results “troubling.” She said a decline in outpatient resources as well as a “severe shortage” of psychiatric beds available at inpatient facilities has led to longer wait times. About 52% of surveyed emergency physicians said they have experienced cutbacks to mental health resources in the last year in the communities they serve. Yet, the need for psychiatric services hasn’t diminished. Three-quarters of surveyed emergency physicians report treating psychiatric patients who require hospitalization at least once a shift. A decrease in psychiatric beds began in the 1960s when institutions were closed and psychiatric patients were moved from inpatient care to outpatient care. As a result, state and county psychiatric beds nationwide between 1970 and 2006 decreased from 400,000 to about 50,000 beds. That decline has continued. A report found that from 2005 to 2010 state psychiatric beds nationwide fell by 14% from 50,509 to 43,318. Another study presented by the ACEP found 23% of psychiatric patients had emergency department visits that were longer than six hours, compared to 10% of other medical patients. In addition, 7% of psychiatric patients had an emergency department stay that was longer than 12 hours versus only 2.3% of other medical visits. The study also found that about 22% of psychiatric patients were uninsured and 4.6% were seen in the same emergency department within 72 hours of their initial discharge. The figures came from an analysis of 2001-11 data from the National Hospital Ambulatory Medical Care Survey by the Centers for Disease Control and Prevention. In a separate study that looked at the same data from that survey, patients with bipolar disorder, psychosis and depression had increased odds of staying in the ER for 24 hours or longer than other patients. Dr. Suzanne Lippert, lead author of the studies and a clinical assistant professor of emergency medicine at Stanford University, said that although she doesn’t have clinical evidence that extended wait times negatively affect patient care, patients likely suffer further under such conditions. The ACEP’s Parker added that the issue contributes to ER crowding, causing other medical patients to wait longer for care as well. This entry was posted in Blog and tagged wait times.